On Wednesday 3 April, Blenheim Palace hosted the launch of the new Oxford Pass. Company aims to increase tourism to the city and surrounding areas. The Oxford Pass will be valid for a two-day period and provides entry to a host of attractions including the Ashmolean, Bicester Village, Oxford Artisan Distillery, Oxford Castle & Prison, Carfax Tower, Soldiers of Oxfordshire Museum and Blenheim Palace. Dominic Hare, Blenheim Palace CEO says: “At an uncertain national moment, we can be sure that our wonderful heritage-led tourist industry will continue to generate economic value and employment for local people in the future as we draw enthralled visitors to the area. The launch was attended by Denis Wormwell, VisitEngland Advisory Board Chairman, who said it was an exciting new initiative; particularly during English Tourism Week. “The pass shows innovation in product development and local collaboration contributing to tourism’s growth. “Congratulations to Experience Oxfordshire and all the partners involved and we at VisitEngland look forward to watching the pass develop and benefit the local economy,” he added. Hayley Beer-Gamage, Experience Oxfordshire CEO, said the Pass is an exciting new product development for Oxfordshire. “We are not only delighted to have been involved in its inception, but are extremely grateful of all the help and support we have had from Blenheim Palace and Oxford Bus Company to get this to launch,” she said. 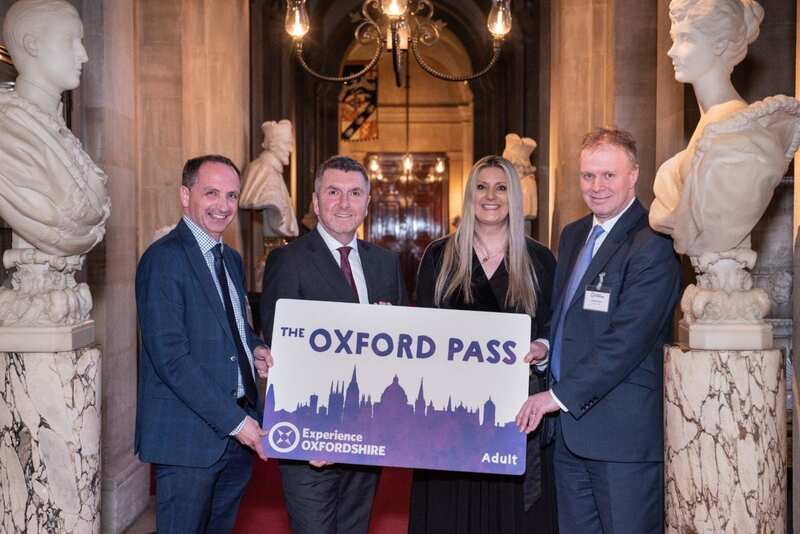 “The new Oxford Pass helps address many of our current destination challenges and will help to encourage longer overnight stays as well as giving visitors the opportunity to explore both the City of Oxford and wider county of Oxfordshire. “We are launching with an amazing set of attractions and partners and hope that many more will join in the future,” she added. “The Oxford Pass offers a fantastic package for visitors to Oxfordshire that makes exploring our great county both convenient and value for money. “It fully combines public transport with the best tourist attractions on offer and is something that can go from strength to strength. Cllr Ian Hudspeth, Leader of Oxfordshire County Council and keen supporter of the initiative said. “I see tourism as a significant part of the county’s economy, and know the contribution this makes,” he said. “I therefore welcome ways to bring more coherence to our tourist offer – meeting the longstanding ambitions to attract people for longer stays, in which they visit more attractions in the wider county, as well as all there is to see and do in the City. “The Oxford Pass makes this both more appealing and, importantly, simpler – in a way which works well in a number of other international cities,” he added.